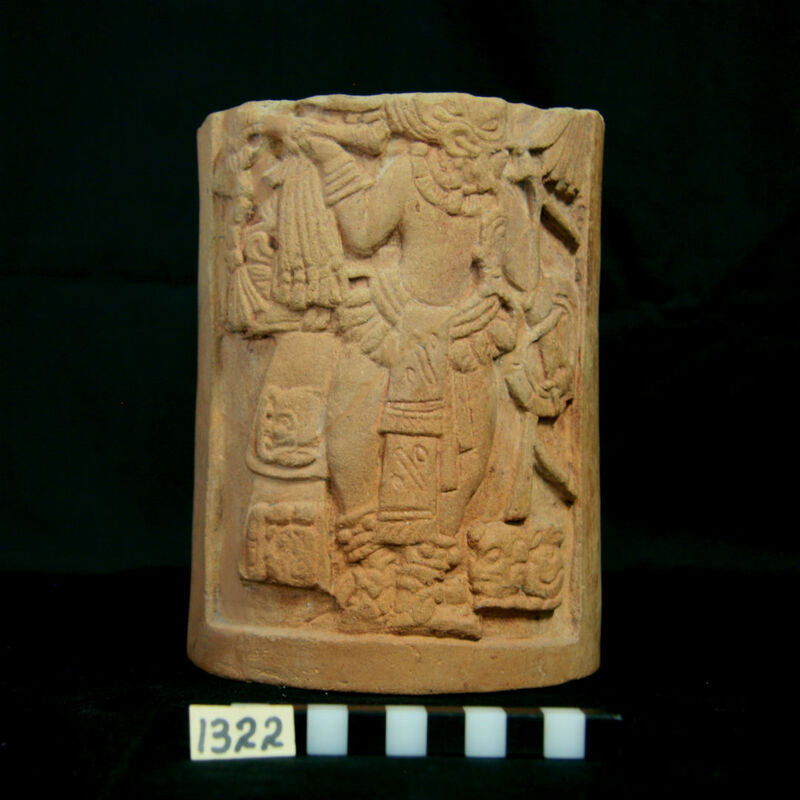 For the past eight months, I have had the fantastic opportunity to work with Dr. Heather Richards-Rissetto of the University of Nebraska-Lincoln (UNL) on her archaeological research concerning the ancient Maya city of Copan, located in modern-day Honduras. 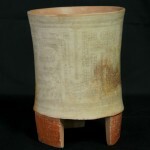 One of the objectives of Dr. Richards-Rissetto’s research is to catalog the timelines and areas of ceramic trends in order to better understand social and political change throughout the city of Copan and the surrounding valley leading up to the decline of the dynastic kings who ruled the city for 400 years. In order to accomplish this objective, Dr. Richards-Rissetto, myself, current UNL student Megan Campbell, and recent UNL graduate Trent Carney traveled to the town of Copan Ruinas where we were able to work with archaeologist Dr. Rene Viel in order to better understand the qualities such as clay composition, vessel thickness, and the color and style of decoration which characterize the different typologies of ceramics found throughout the valley relatively dating from our period of interest. Along with the teaching and writings of Dr. Viel, we also heavily utilized the works of Dr. Cassandra Bill, Dr. William L. Fash, and Sheree Lane. During this time, our team also cataloged the number of each type of ceramics found at different sites throughout the area. While Megan and Trent focused on sorting collections of ceramics, my main job in Copan was to build up a database of photos of ceramic sherds representing each typology, which I have since been using to build virtual 3D models (many of which can be found on this site on the pages linked under the “ceramic typologies” by hovering your cursor over pictured database photos). 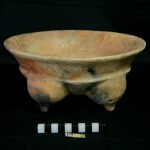 Our hope with the virtual models is that the general public can learn about the types of ceramics manufactured and utilized at Copan, and that other archaeologists dealing with similar materials may use these 3D models as a basis to aid in the classification of additional ceramic sherds, which can be added to the MayaCityBuilder database. Since returning to the states, I have begun working on UNL campus with Dr. Paul Hanson of the UNL School of Natural Resources to determine the firing date of several ceramic sherds Dr. Richards-Rissetto was able to bring back from Copan. In order to calculate the firing date, Dr. Hanson and I have been exploring the use of Optically-Stimulated Luminescence (OSL) dating, which involves measuring the levels of electrons trapped within the crystal structure of quartz within the clay during the firing of the vessel. The soil from the area, which was used to temper the clay of the ceramics, is proving to not have as high a concentration of quartz as Dr. Hanson and I would like, so in the future we may explore the possibility of dating feldspars in the clay instead of quartz. Once we are able to determine a method for calculating the firing date of ceramics from the Copan valley, the final piece will be added to the puzzle Dr. Richards-Rissetto originally set out to build. 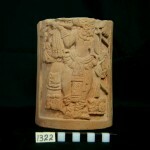 This more specific timeline, combined with our data from cataloging ceramic typologies and mapping them through the valley using Geographic Information Systems (GIS), will give us a much clearer view of how and when ceramic trends moved throughout the valley, accompanied by the ongoing social and political changes leading up to the collapse of the Copan dynasty. I have been extremely lucky to receive funding to participate in this research via an Undergraduate Creative Activity or Research Experience (UCARE) grant through the University of Nebraska-Lincoln, and I thank them greatly for this amazing opportunity, as well as their ongoing support. This past summer I had the opportunity to work with my mentor, Dr. Heather Richards-Rissetto and ceramic specialist, Dr. René Viel at the Mayan Site of Copan–an UNESCO World Heritage Site in Honduras. With support from the Don Burgess Anthropology Student Support Fund and a UNL Undergraduate Creative Activity and Research Experience (UCARE) grant, I spent three weeks at the Centro Regional de Investigaciones Arqueológicos (CRIA) with Dr. Richards-Rissetto and Dr. Viel re-analyzing a subset of ceramic sherds from particular sites outside of the main ceremonial complex. By examining ceramic remains from sites across the valley, we expected to see a more realistic representation of any shift that may have occurred prior to the collapse in the Late Classic period. Each method of data collection played an important role in building on the current body of research and establishing a strong foundation of new, digital research. Primary phases of ceramic styles include Uir, Chabij, Bijac, Acbi, and Coner. By examining the styles from each period and identifying the diagnostic details, we can attempt to track any patterns that may arise. Linking these physical changes in pottery through time, to their provenience in ArcGIS, will give us a visual representation of shifts occurring across the valley. 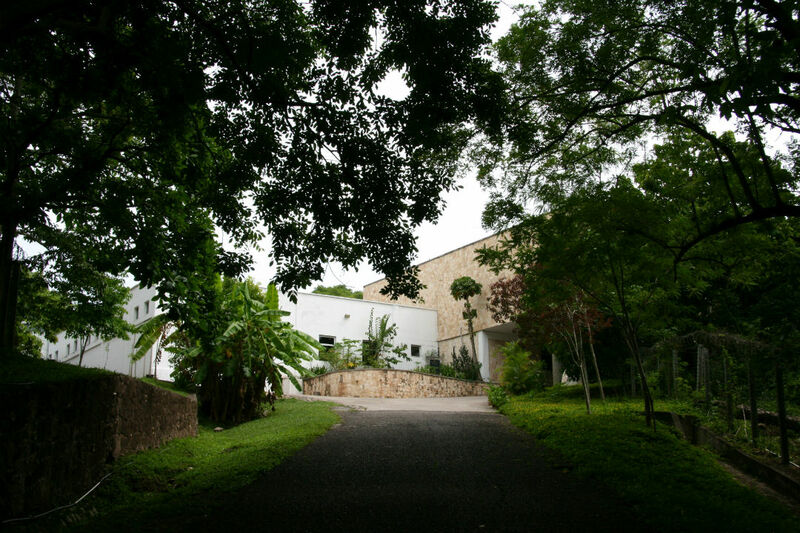 A major part of our process incorporated digital technologies. 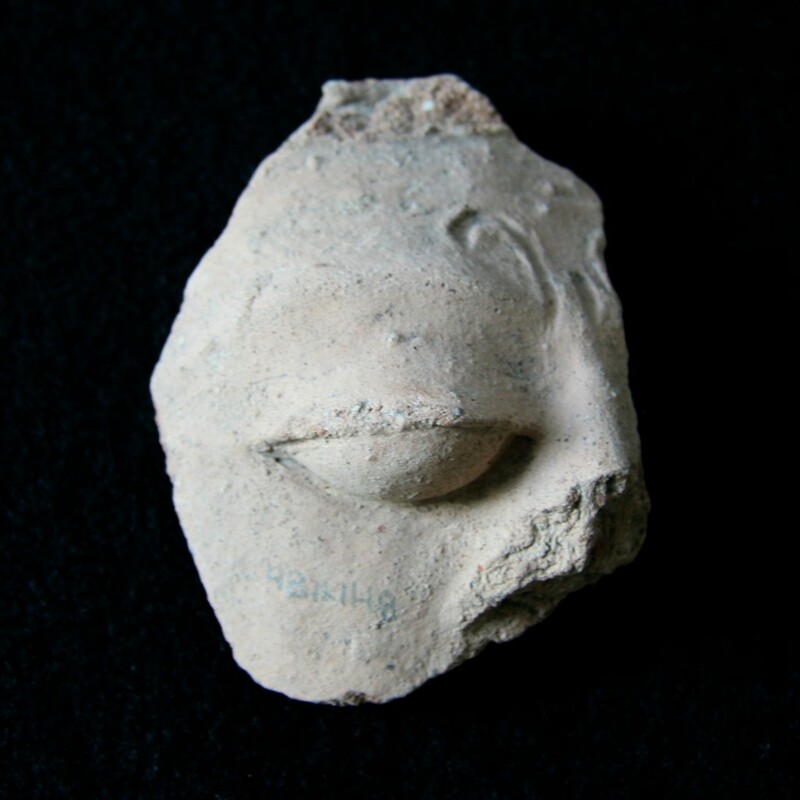 We relied heavily on 3D photogrammetric technology to test a new method of documentation, as well as to have the opportunity to study these artifacts back in Nebraska. Additionally, it was important to us to be able to disseminate information to other scholars and the public in an interactive manner. One example of this type of technology is Augment, which allows users to handle 3D models through their mobile devices. Follow the instructions to the right to experiment with this program. While the photogrammetry came in handy for vessels and sherds we were unable to bring back, we were able to return to the United States with eight sherds. Our plans are to put them through optically-stimulated luminescence (OSL) dating. If this sample group is successfully dated, the project plans to bring more samples back to be dated in the same manner. This ceramic sherd is called Sepultura Unslipped, Cabeza. 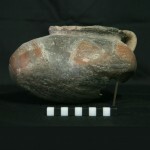 It belongs to the Late Coner phase and is easily identifiable due to the anthropomorphic features sculpted into the vessel. 1. Download Augment on your mobile device. 3. Aim the viewfinder at the image above. 4. At the bottom, click “3D View” (you may have to scroll horizontally). Please keep in mind that the model being represented is in the early stages of being cleaned. Once all of the photos are entered into the software and the model has been constructed, there might be pieces of the teal platform we used and the clay stabilizer visible. Keep checking back for updated finished models!